Duke Corporate Education>Our Story>Our People>Staff>Mike Canning, J.D. 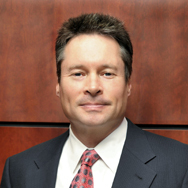 Mike Canning joined Duke Corporate Education (Duke CE) shortly after its inception in 2001. For 15 years, he has served Duke CE in key leadership roles, helping organizations to address their business challenges by getting leaders ready to win in an unpredictable world. A long-time innovator and thought leader in connecting strategy and leadership, Mike grounds his work by starting with complex problems, and thinking creatively about how to reach the client’s specific strategic outcomes. He also focuses on building business adjacencies, innovating new ways to generate value for clients. Mike led Duke CE as its Chief Executive Officer for six years (2010- 2016), working with clients, partners, and the Duke CE team to make the organization the premier global provider of custom executive education. Under his leadership, Duke CE increased its global presence by delivering in 75 countries and established its foothold in Asia to serve clients from offices on 4 continents. Prior to becoming CEO, Mike was Head of Client Business, leading Duke CE’s client practice for three years, and before that he was Managing Director. Mike coordinated Duke CE’s efforts to develop a unique body of knowledge and tools that address the key challenges of managers leading in the middle of the organization. This work led to creating innovative solutions for a number of global clients and resulted in the publication of an eight-volume book series, Leading from the Center, which he also co-authored. Prior to joining Duke CE in 2001, Mike worked as an independent consultant in the San Francisco Bay area, where he focused on designing and implementing strategic change, building organizational capability, and leadership development for a range of clients. Mike previously worked for the international division of The Coca-Cola Company in operations, strategy/capability development, and employee and industrial relations. He has traveled and worked extensively in a multitude of countries and cultures across Europe, Latin America, North America, Africa, and Asia. Mike holds a J.D. from the University of Bridgeport (Conn.) School of Law and a Bachelor of Science degree in Business Administration and Finance from William Paterson University in New Jersey.